Have You Started the Search for Cats and Kittens for Sale? Buying kittens for sale and cats for sale could cost hundreds of dollars; hundreds more if a cat or kitten’s medical history is unknown or if the kitty has not received initial medical care. Think adoption first! Find lovable cats or baby kittens for sale that you’ve searched for online at your nearest animal shelter or rescue group for a reasonable adoption fee. To find adoptable pets near you, start a search for cats and kittens. How much is a cat? Any cat parent will tell you how priceless these small, furry family members are, from their entertaining, acrobatic prowess to their instant purring appreciation of your love and attention. While no one can put a price on the endless hours of enjoyment you’ll have with your adopted kitty, an adoption fee helps cover the expenses of sheltering and caring for the pets in an adoption organization. To ensure the important work continues by pet welfare professionals, most pet shelters and rescue group members will require an minimal adoption fee when you adopt a cat. In some instances an adoption organization may waive a fee to place cats and kittens in a healthy, safe and loving home, and the benefits of adopting don’t end there. Animal welfare groups often provide the cats in their organization initial medical care such as spay/neuter, age appropriate vaccinations, microchipping and a wellness check. These important health checks are covered in the adoption fee, which could range from being waived to a couple hundred dollars; however, it is always a good idea to confirm fees beforehand as they can vary from one adoption organization to another. To help a cat or kitten get off to a healthy and happy start in their new home, the following medical is often included in a typical adoption fee. How will established pets feel about having a cat at home? Are you able to dedicated the time needed to a care for a cat, considering social and work schedules? Have you considered whether any family members will have health or allergy concerns around cats? 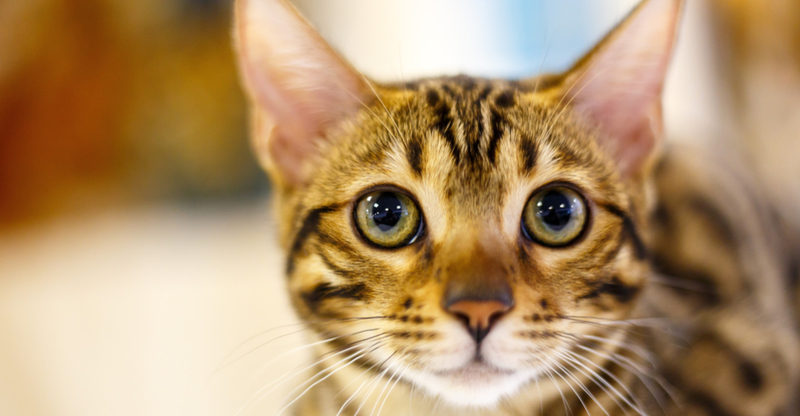 What cat breed is best suited to your personality, high energy, playful, laid-back? When it comes to adopting a cat or kitten, there is no better place to begin than a search on Petfinder.com where you’ll never find cats and kittens for sale but rather adoptable, potential family members ready to join your home and share your lives. To find adoptable pets near you, start a search for cats and kittens.